The growth of container turnover of the largest ports in Asia accelerated in May 2017 to double-digit rates, despite the congestion and delays in operations in Chinese ports, which began in April because of the reorganization of global alliances. 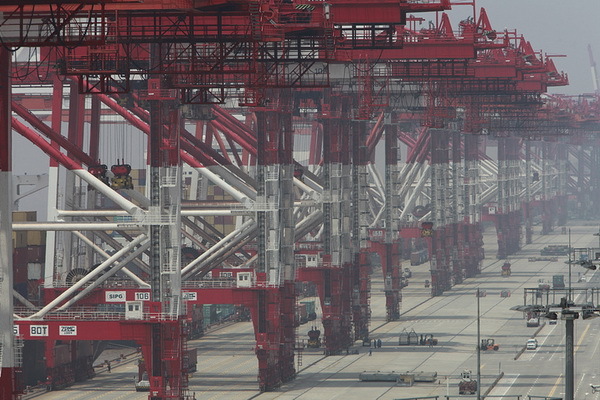 The world’s largest container port of Shanghai in the past month handled 3.54 million TEU, which is 14.7% more than in May last year, released the latest data from the port operation SIPG. This is the highest growth rate among the three ports that entered the survey. The average growth for the five months since the beginning of the year in the ports amounted to 10%. According to the preliminary data of the port operator, Singapore MPA, the second largest port in the world increased last month the handled volumes by 12% yoy, to 3 million TEU. In January-May, traffic through the port increased by 6% to 13.3 million TEU. The growth rate of port container turnover exceeded 5% in 8 out of 10 months since Singapore became the regional hub of CMA CGM in Asia in August last year. Since July last year, CMA CGM SA And PSA Singapore Terminals Pte. They operate jointly with the CPLT terminal in the port of Singapore. The terminal’s initial capacity of 2 million TEU in March was increased to 4 million TEU. The Hong Kong port, which is the fifth largest container container in the world, handled 1.85 million TEU in May, an increase of 13.4% compared to the previous year. For five months, the growth was 12.2%. The turnover of deep-sea terminals of the Kwai Tsing port region increased last month by 14.4%, to 1.5 million TEU, from the beginning of the year – by 12.5%.